Over the years, I’ve attended too many events where the collective presentations didn’t follow a cohesive sequence. As the day ran on, I’d notice that each talk seemed like an island that had little relationship to what came before it. And, of course, we’ve all been to conferences on the other end of the spectrum where the presentations are so similar you feel like you’re suffering through the last 10 chapters of that business book that just won’t end. So, in putting together our 2017 conference, Bob Buday and I worked diligently to not only plan an interesting line-up of speakers and talks, but also tell a complete end-to-end story around thought leadership marketing. We wanted the program to follow a logical sequence that was neither disjointed nor redundant. We wanted to cover broad topics, like setting your thought leadership agenda, and narrow ones, like the specifics of how to structure a thought leadership page on your website. And, we wanted to do it through a structured thread that would help attendees get the most out of their investment. Fortunately, I feel like we accomplished all that and more. To whet your appetite, I’d like to share what’s in store for you at #PTL2017. To open the program, Bob and I will present a high-level summary of our collective research and experience on what separates the best thought leadership marketers from the rest. Specifically, we’ll talk about the culture and organizational mindsets of the most successful firms, the roles and organizational levity they provide for their marketing teams, the behaviors of the marketers themselves, and the unique characteristics of their efforts (both online and off). In short, the opening session will provide a sweeping view of everything that will be covered over the course of our two days together. These days just about anyone can publish their opinions, but that doesn’t mean the resulting content will be good or even valid. In session two of the day, Bob Buday will dive into the importance of research in developing high quality content. He’ll talk about the right way to do original research and the wrong way. Finally, Bob will provide guidance on both how to find unexplored topics and how to avoid the costly mistakes that keep research from yielding the value it was intended. Doug Farren, Managing Director of the National Center for the Middle Market, will give us a real-life working example of how public/private research actually gets done. The Center has been studying the core of the U.S. economy for 6+ years, and Doug has been leading the research agenda most of that time. Doug will talk about the critical role that multi-year research has played in the Center’s ability to become the nation’s defacto expert on the heart of the U.S. economy, what it takes to make public/private partnerships work, and the value it creates for both parties. While great research is often a requirement for an organization to discover new ground, it’s generally the experts themselves that bring context to thought leadership. It’s their practical field experience that marketers trust day-in and day-out to shape a firm’s point-of-view in the market. But, sometimes their field experience isn’t so accessible. Dave Rosenbaum, Editor in Chief of Bloom Group, will shine a spotlight on the biggest points of stress in the content development process and how to overcome them more effectively. The need to disseminate best practices and new ideas has been at the heart of McKinsey for well over 50 years. So much so that for a lot of executives, McKinsey’s insights have been a must read for decades. To close out Day One, McKinsey’s Charlie Barthold and Roberta Fusaro will share a peak inside the firm’s thought leadership operations. They’ll talk about how the firm perceives thought leadership, how it structures its marketing activities, and how the firm has organized itself to deliver world-class insights for decades. Bob Buday, Founder of Bloom Group, will kick us back into action on the morning of Tuesday, November 7, with a discussion of the optimal marketing mix. Bob will talk about the importance of balancing your own channels with external ones, compare the purpose and efficacy of external publishing and self publishing, and provide guidance on how to pick the right channels for your firm. Tim Parker, also of Bloom Group, will follow Bob with a talk on the bifurcation of media. While some publications will accept almost any external submissions with little more than a grammatical review, others have become more selective than they’ve ever been. It’s these latter publications that can bring broader reach to your efforts while inferring valuable credibility upon your firm’s expertise. Yet, the rapidly increasing demand for space within them has raised the bar on what it takes to get through the gates. Fortunately, we have some talented senior editors from these very types of publications to bring us insight on what they’re looking for from interested authors. In separate but connected talks, Sarah Carmichael Green of Harvard Business Review and Fred Allen of Forbes, will explain their publishing models and readership, why authors choose to publish with them, what opportunities exist for external authors to contribute, and what they’re looking for from those external submissions. After a morning discussing the efficacy and challenges inherent with external publishing, I’m going to flip the tables and talk about the increasingly critical role of self-publishing. Specifically, I’ll talk about the 3 reasons self-publishing needs to be a big part of your thought leadership mix, how clients use thought leadership in the buying process to make business decisions, and how you can use your firm’s website to make it easier both for potential clients to vet your firm and for you to vet them. To close out the two days, Carl Davis, CEO of Array Architects will share his firm’s journey into thought leadership marketing. 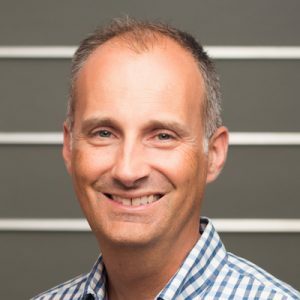 Carl will talk about the role he plays in driving thought leadership, how the initiative has led the firm into whole new lines of business, and how to help convince your CEO to become an active participant even if he or she is not one now. Of course there will be ample time for peer-to-peer sharing. With the event under a month away, now’s the time to register. Early bird rates end on Friday and the room is closing quickly. If your firm competes on thought leadership or has the desire to do so, I hope to see you there. ©2019 Rattleback. All rights reserved.